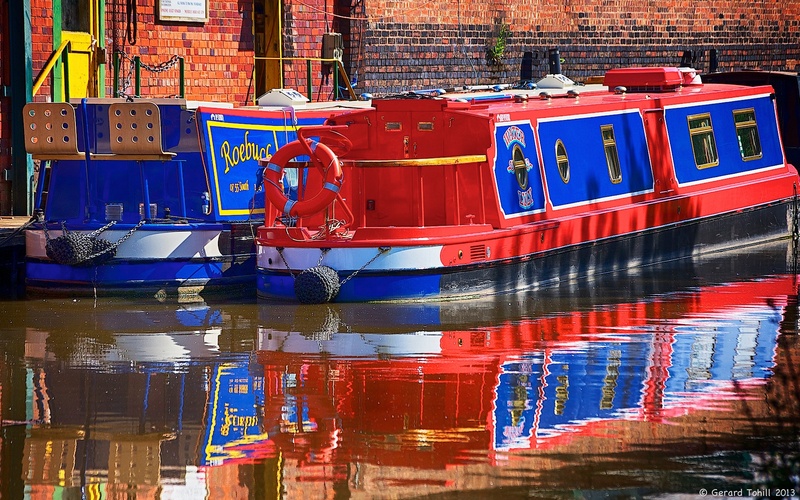 On a sunny day, narrow boats on the Worcester and Birmingham Canal provide colour in abundance. These are brilliant – so colourful! Thank you. You couldn’t miss them – they really stood out in the sunshine. I suspect they had been freshly painted as the weather here can take its toll on even the brightest of colours over time.